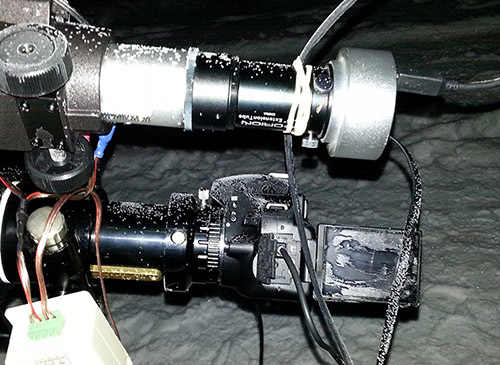 Winter is coming...what is too cold for imaging? As winter is approaching, I am wondering at what temperature it becomes impracticable to do imaging with a DSLR? Does a view screen freeze? Does a shutter freeze? Do camera batteries freeze? No doubt their power drains quicker. What about the laptop and laptop batteries? Does a dew belt work during the cold nights? I guess the practical limitations of imagery take a new twist in winter and new challenges arise for the astrophotographer. I am curious to hear from the the veterans on what I should expect and what I should be prepared for. Hi...I am from Fairbanks, Alaska and for us, darkness is only linked to cold conditions. 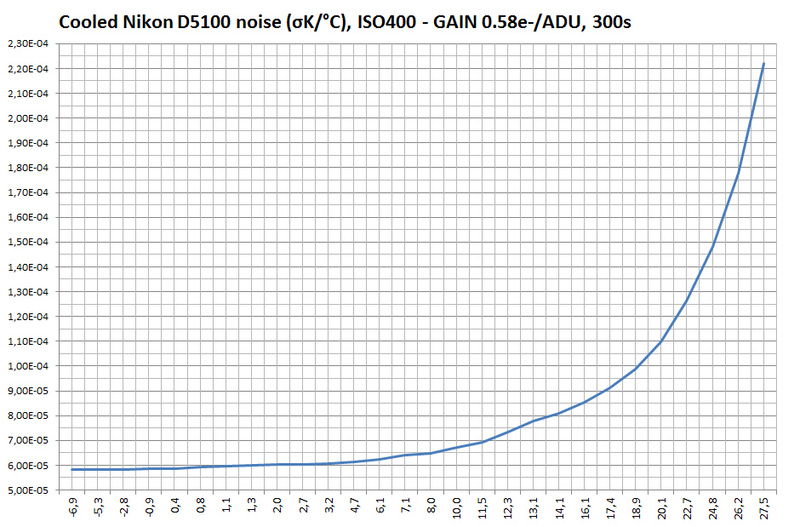 I have used my DSLR down to -30F and it probably could go lower, but I'm the one that start's to fail at those temps! *Regular camera batteries are pretty much done at those temps, so I use an AC to DC converter to power the camera. *Don't even attempt GOTO or motors on mounts at those temps....hand guided slo-mo only. * Use classic Vixen mounts from 80s and 90s and relube with ultracold grease...work great. * For us, it is bone dry so no need for dew control, unless you breathe on lens eyepiece....pretty much done then until you can thaw them out. Many other small tricks, but those are the major ones. Enjoy your winter astro moments! Lots of great images and memories. Hello..have shot subs with my dslr down to -22F. The 60d camera, 70-200mm f2.8L lens and losmandy gm8 mount ran great for the 2 or 3 hour sessions I used them for. No issues at all aside from the weak 'human' link in the process. Looking forward to see what I can do this winter myself, not sure how I am looking forward to it... We'll see I guess. Looking into some warm gear to get me through it. I can warm up in my car from time to time but it will be cold anyway. You should look into the term 'dark current'. I'm looking forward to winter, minus the shaky fingers! the colder the better, to reduce dark current noise. Edited by Stephanh, 25 October 2016 - 01:44 AM. 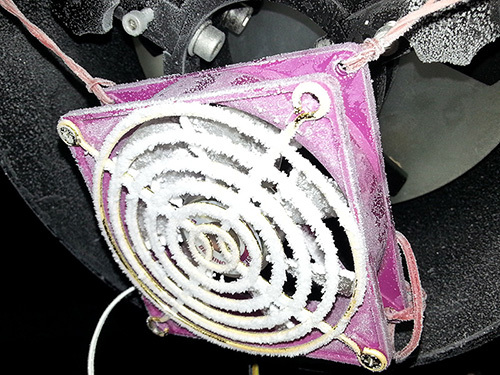 At -20 to -30C mounts tends to become stiff if you haven't changed grease to low temp lithium moly or equivalent. I have personally that experience with HEQ-mounts. I usually keep lid down to prevent frosting - not that time though. This is an old image and I have pasted it couple of times here already. Cold isn't that bad for cameras than what it is for optics. Just keep them warm enough..
Edited by Herra Kuulapaa, 25 October 2016 - 01:40 AM. Forgot to write that the cables and connectors and the most vulnerable to sub zero cold. Cheap cables tend to get rigid, and very brittle. Now THATS a novel way to get defraction spikes. I've "comfortably" imaged down to 5 F on many winter nights. You're fingers will hate it but your camera will LOVE it !! just be sure to have dew heaters and a 12v battery adapter and wrap all of your cables in something, I use neoprene zip sleeves. I have imaged in -10 Fahrenheit back in Georgia but never colder than that. I agree with hera, the usb cables get pretty brittle if they are exposed. Something to consider is a stick pc or a second laptop so you can control everything from inside your car or house. I typically sit in the car all night if I am at a dark site. What would the neoprene sleeves would do? Are they heated somehow? 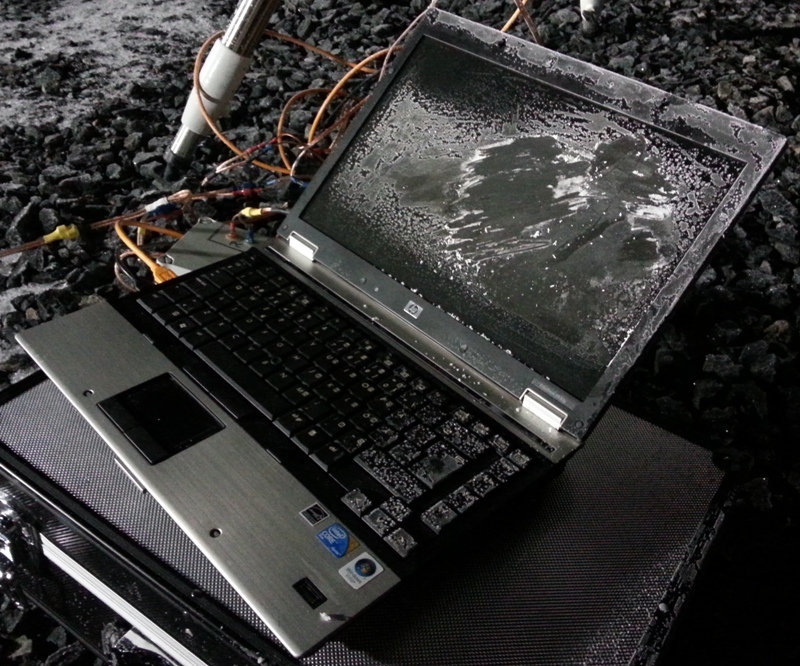 As others have written, it is usually us humans that get cold before the equipment does. One lesson that I was reminded of as I read through this thread is to be aware of how stiff the cables get when they freeze. It helps to strain relief the cables near their connectors on the mount. That way the stiff cables do not wiggle their connectors as the mount moves through the night. It is painful to lose imaging time due to an open electrical connection. Cold is good - at least for the cameras. Here is a little D5100, which normally and by today's standards tends to have a bit noisy sensor, at room temp I mean. With decent cooling its nature changes though. See the USB cable going to autoguider? 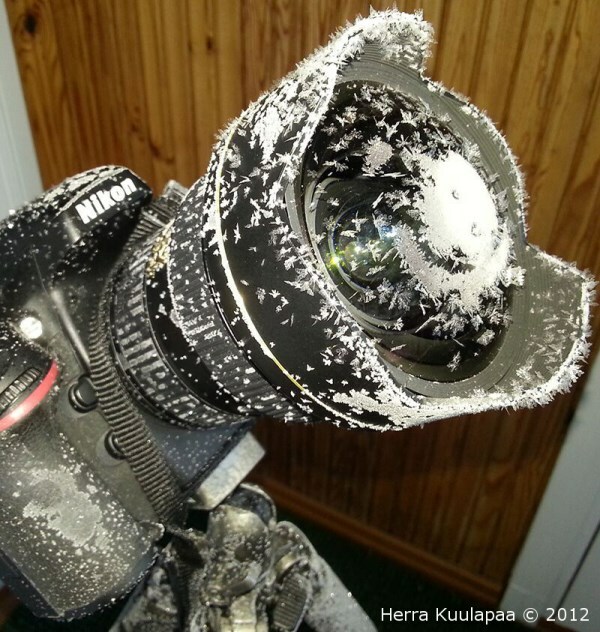 I snapped its outer insulation clean off some winters ago after imaging several hours at -20C and packing my gear. I have taken film photos at -40 F/C and had a heating pad inside my Refrigiware Coveralls with a hair dryer stuck in my midsection blowing relatively warm air in as well for taking shots about 10 minutes long. I didn't need the old dry ice camera out in that temp !! My scope was an old Edmund 8 inch reflector with a synchronous drive that hummed right along even at those temperatures.